This whole recipe is made in your waffle maker! Its not only creative but savory & sweet & it packs a nutrient dense punch to get you fueled up for the day. Mix all Waffle ingredients together and cook in waffle maker. Mix all Egg ingredients together and cook in waffle maker. 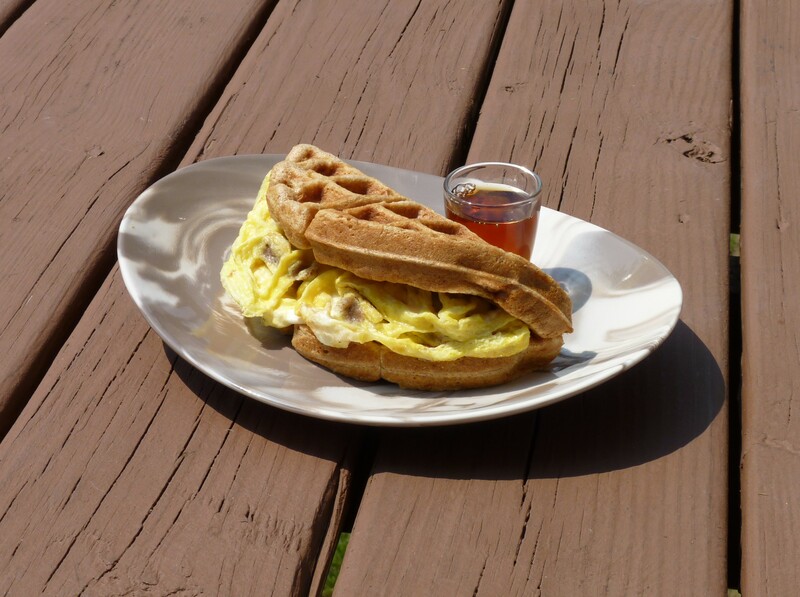 Put eggs on top of waffle and fold in half, drizzle with maple syrup and mmmmmm, you have your breakfast waffle taco.